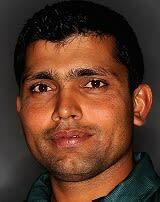 Kamran Akmal after Moin Khan and Rashid Latif is the next talented wicket-keeper and right-hand batman of Pakistan. He made his first-class debut at the age of 15 in 1998 as a useful wicket-keeper and a hard-hitting opening batsman for Pakistan (A) that earned him his first international cap against Zimbabwe. Kamran Akmal has made 2648 runs in 53 Test matches with the help of six centuries, during in 137 ODIs, he has scored 2924 runs and holds five centuries in which his first century was against India in Mohali. Initially, he was always chosen as an option in the absence of the regular keepers but with the Moin’s retirement and Latif out of contention, Akmal has become a full-fledged member of the team. His batting style is the purity of his drives and the strength of his cutting and pulling, mainly on slower subcontinent surfaces, Akmal always held a strong tempt. The first, at Lahore, was the fastest Test hundred by a wicketkeeper. The second, on a seaming first day green-top at Karachi, not only saved Pakistan from the depths of 39 for 6, eventually leading to a thumping win, but is unlikely to be forgotten by anyone who saw it. With good start of career Kamran Akmal experienced a big horrendously lean patch, against New Zealand his performance started detouring negatively and after dropping so many catches, technical errors creep in and critics and experts have long pushed for the need for him to take a break and he also failed to maintain his place and position in Pakistan’s national cricket team after playing a good international cricket. Recently he has been seen as a critic among various channels during World Cup series, criticizing several batman and bowlers poor performances. He has defended his brother over the higher officials of Pakistan cricket allegation on him. Seeking his fair batting skills, Pakistan cricket officials might be selecting him for PAKvsZimbabwe series. 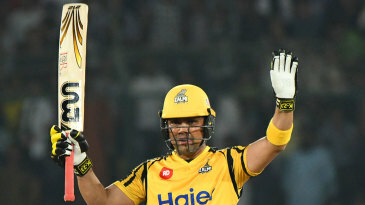 Find Kamran Akmal Profile and stats of batting, bowling and fielding including latest updated news of Kamran Akmal Profile, videos and images at Hamariweb.com. Also find detail Player profile and career statistics of Kamran Akmal of Pakistan. Find Kamran Akmal profile and stats of batting, bowling and fielding including latest updated news of Kamran Akmal, videos and images at Hamariweb.com. Also find detail Player profile and career statistics of Kamran Akmal of Pakistan. There is no any chance of come back again in the squad of Pakistan but Kamran Akaml is the only opener in Pakistan who can bat with good strike rate. I especially like his pull shot. When Kamran Akmal played as an opener I really like his batting because every time he played some lovely shots but due to the average wicket keeping he couldn’t make his career long. I dont think so he will come back in the squad of international team because for many days he is out of form and also there is a large backup wicket keeper in a first class. Kamran Akmal - Find Kamran Akmal of Pakistan Cricket Team complete player profile, number of matches, runs score, wickets & catches, Statistics, Records, Kamran Akmal Latest News, Kamran Akmal Videos, Kamran Akmal Photos, and other Kamran Akmal Cricket Team players.